If you're fascinated with designer dogs, check out the Chorkie. 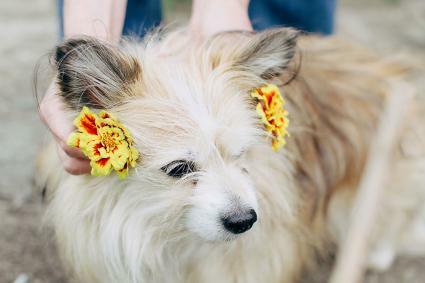 This small cross-bred dog is popular with families with older children and apartment dwellers. 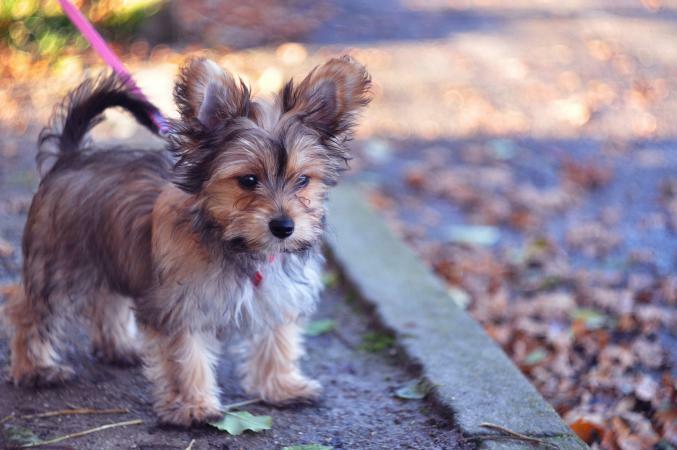 The Chorkie is known by a number of names, including the Yorkiechi and the Chorkie. This dog is the combination of breeding a Yorkshire Terrier with a Chihuahua, and the result is a small dog with a lively attitude and an interesting coat. In fact, these dogs fall in the "so homely that they're cute" category. Although they aren't likely to win any beauty contests, they do win a lot of hearts with their adorable personalities. There is no record of who first began pairing these two breeds on a regular basis, and the dogs are still mainly produced by pairing one parent from each breed. This may be because these dogs do not "breed true" when two Chorkies are paired together. This means they do not retain the ideal characteristics found in the first generation breeding. Chorkies vary slightly in looks from one dog to the next, but they do share a variety of characteristics. Due to the small size of the parent breeds involved, these dogs average around eight to ten pounds when fully grown. They are about six to nine inches tall when fully grown. Teacup Chorkies are dogs on the smaller side that are no more than six pounds as an adult. Bodies on these dogs are similar to their parent breeds. They are generally rectangular. Many specimens have the long tails of their Chihuahua parent, but there is some variance in length. The heads tend to be shaped more like the Yorkie on average, but they may be more rounded if the Chihuahua parent had the appropriately apple-shaped head. The ears are typically pricked although some specimens are drop-eared. Any color combination is possible, especially due to the Chihuahua heritage. However, many of these dogs wind up somewhat grizzled in color due to their Yorkie heritage. Yorkies lighten out to a gunmetal gray as they reach maturity. The coat may be medium length, long or a mix of the two, depending a lot on whether the Chihuahua parent was a long or short coat specimen. The texture is typically soft or silky although some specimens are a bit rougher. Some people believe that Chorkies are hypoallergenic, however, no dog is truly hypoallergenic. They may, however, be a good choice for an allergy sufferer as their Yorkie heritage causes them to shed less and they have silky hair, assuming they picked up this trait from their Yorkie parent. 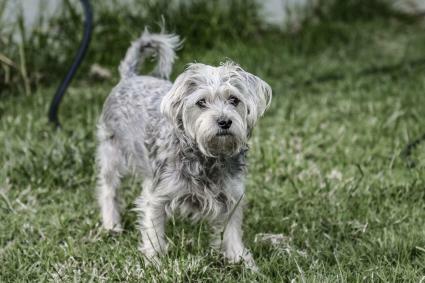 Chorkies tend to be very upbeat little dogs, with a lot of personality and energy. Although most small dogs typically get enough exercise running around the house or yard, these dogs do benefit from a daily walk around the block. Chorkies are bright, but training them takes a lot of consistency and positive encouragement, especially when it comes to housebreaking. This is likely because both Chihuahuas and Yorkies can be difficult to house train. Chorkies are also prone to barking a lot. This is because they feel the need to alert their people to anything that may be going on nearby. This is one of the easiest cuts to maintain as the dog is trimmed all over to a short length. It gives the dog a look of a little plush animal and hence it is often called a teddy bear cut. This is also an easier cut to do at home on your own if you feel comfortable grooming. You'll need to have an electric trimmer, scissors, and a slicker brush to achieve this style. This is the hardest cut to maintain as the coat is left long and needs regular brushing. Show dogs will appear in this cut which includes a top-knot with a bow to keep the hair out of your dog's face. If you are not used to grooming a dog, work with a professional to learn how to care for your dog at home. This cut is based on the typical look of a West Highland Terrier. The hair is trimmed all over the body and on the face, except for the eyebrow and beard area where it's left a bit longer. Though this requires some regular trimming it does not require as much work as the show cut. 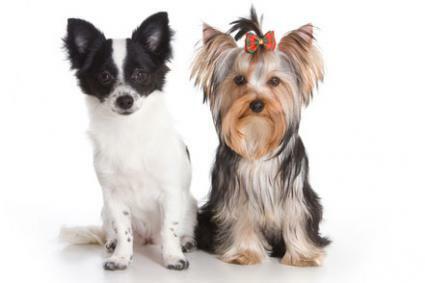 Both Yorkies and Chihuahuas are delicate dogs, but they can live relatively long lives when provided with good care and regular veterinary check-ups. In light of this fact, Chorkies can live at least ten years on average, but some may live up to 16 years. As for health issues, you really need to consider the health problems that affect both parent breeds. Although some breeders argue that crossing two purebred dogs produces more vigor that same crossing still passes on a genetic predisposition for diseases/conditions to which the parent breeds are most susceptible. These can include the following. If you're looking to buy a Chorkie puppy, you can expect to pay between $400 and $800 for a Chorkie puppy, although some breeders may charge as high as $1,500. Since they are a "designer breed" there is no breeder association to find these dogs. You can find them on various websites for online breeders but you should be very wary of these sites as many, although not all, serve as puppy mills. If you decide to rescue instead, you will not find dogs listed as "Chorkies" but rather as a Yorkie/Chihuahua mix. You can use sites like Petfinder and Adopt-A-Pet to find a Chorkie near you by searching for either of the parent breeds. Although the Chorkie makes a charming pet, these dogs are not suitable for every family. They are a bit too small to make good companions for families with young children, but they can work well for families with older children who understand the need to be careful with their little pet.